Don’t waste any more money on bottled water – water filters for your kitchen will give you the same product. They’re easy and effective, make your water taste better, and most importantly, remove contaminants. If you want to buy a water filter for your kitchen, here are some things you need to know. What most people don’t realize is that different water filters are better at removing different contaminants. Rather than choosing a model that’s convenient for you to use, you should choose a model that best removes the most prevalent contaminants in your water. Using the Environmental Protection Agency’s website (EPA.org), you should be able to find a copy of your area’s Consumer Confidence Report (CCR). The CCR document that your water company is required to create and release annually, and it will tell you what’s in your water. You can also get a copy by calling and asking your water company. You’ll find out which contaminants are of special concern for you, and you may even find out that you don’t really need a filter at all. 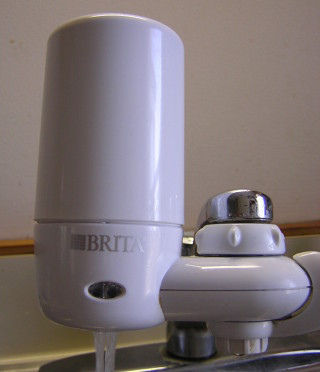 There are several different types of water filters to choose from. Remember to pick between filters that are best at removing the contaminants in your water. Pitcher/Carafe Filters are inexpensive and easy to use. They can be slow to fill, however, which can be an inconvenience for a family who goes through a lot of water every day. Filters need to be changed more frequently, and that expense can negate any initial savings. These are good for removing chlorine and other chemicals. Faucet-Mounted Filters are also inexpensive and easy to use. As with pitchers, the filter itself may need to be changed more frequently than other types. It removes the same chemicals as a pitcher filter, too. It will slow down your faucet flow, but not to an inconvenience. Whole-House Filters require some plumbing changes, but they are inexpensive considering how convenient they are. Whole-house filters are best at removing things like sediment, scale, and rust. For removing other chemicals, you may want to also use a pitcher or faucet-mounted filter. Under-the-Sink Filters remove chemicals, too. They’re mounted underneath your sink, filter water, and keep it in a chamber until you’re ready to use it, so it’s faster than other methods. It will require some drilling for installation. Reverse Osmosis Filters are expensive, and they work in a different way than other filters. Instead of using a filter, they force water through a special membrane, which also needs to be replaced, though not as frequently as a filter. They’re slow, but they remove the widest range of contaminants. If you have arsenic in your water, this is the only type of filter that will remove it. After you’ve chosen a type, you can narrow your search and look at individual models. One thing to keep in mind, however, is NSF certification. The National Sanitation Foundation (NSF) certifies filters that meet higher standards on removing contaminants. Make sure the model you choose is NSF-certified. Gareth Shaw is a professional cook and writer who loves to cover anything kitchen related. He recently wrote an article about the ins and outs of transitional kitchen design.